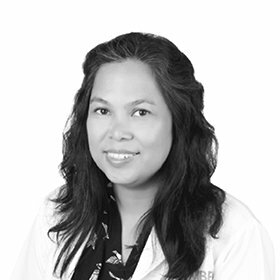 Dr. Dora Shakuntala Barrion-Dimarucut, is a Fellow of the Philippine Obstetric and Gynecologic Society and has been in the practice of Obstetrics and Gynecology for almost 15 years. She has extensive working experience in hospital practice from the Philippines, Singapore and Bahrain. Maintaining a healthy physician-patient relationship has been the ethos of her practice, where compassion and confidentiality are of utmost importance. She believes that patients should be actively involved in deciding for treatment options and plan of care. Best practice evidence-based medicine is a core component of her practice.